When you hear the words Daytona Beach, I’d bet money NASCAR, Spring Break and sandy stretches of the Atlantic Ocean come to mind. 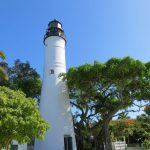 While these are some of its prized attributes, this down-to-earth Florida beach town is making unexpected waves in the culinary arena. It has blossomed into an emerging destination for travelers looking to combine a seaside holiday with delicious dining. Daytona Beach enjoys a throwback quality rich in all-American flavor that translates straight to the plate. There’s not an ounce of highbrow in this retro town so don’t expect avant-garde molecular cuisine. Prices are as low as pretentions, so count on bona fide bargains. You won’t find hipster mixologists concocting faddish cocktails. You will find the Daytona Beach Ale Trail promoting its fine craft beer scene. If you’re on a classic culinary quest, Daytona will whet your appetite. Read on for some of its most delectable options. 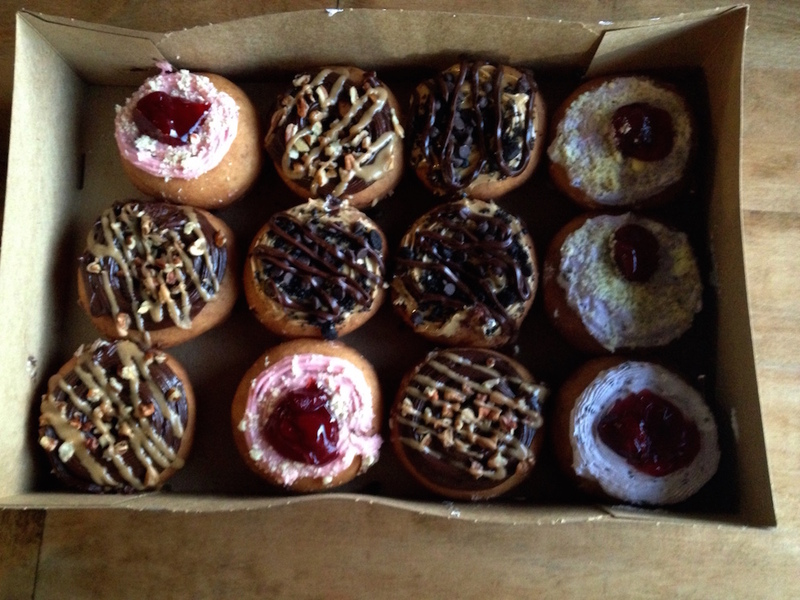 Few foods are as egalitarian as the humble donut. Daytona Beach offers carb-loaders a deep-fried doozy that will have you craving a dozen. At Donnie’s Donuts, you’ll mingle with the devoted clientele who come for the 125 vintage varieties of freshly fried treats. Still can’t find a flavor to please your palate? They customize. Cutting a dashing figure is Donnie himself, just like a Dark Knight of Donuts should. Willie Wonka must have retired in Daytona Beach, because this candy factory is pure imagination. 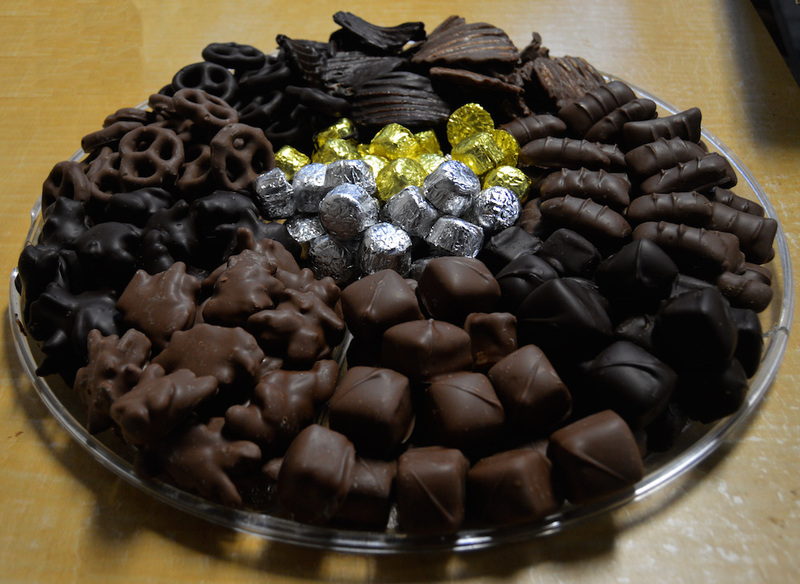 Chocoholics of all ages will get a sugar rush from the free factory tour. You’ll go behind the scenes and watch the small-batch dipping process before being treated to your choice of two samples. 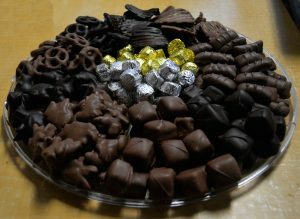 Fudge and chocolate-covered bacon are just a few of the mouth-watering treats. These confections are truly scrumptious, so leave room in your suitcase to take some home. Welcome to a time warp; entering 31 Supper Club feels like stepping into the Cotton Club. 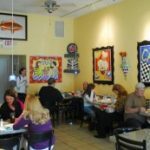 Located in neighboring Ormond Beach, it offers upscale dining with the feel of a 1930’s speakeasy. The Art Deco touches add glamor without an ounce of elitist attitude. Start with a classic cocktail. I went crazy for the Ramos Gin Fizz topped with a fluffy cloud of egg whites. 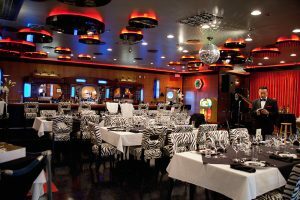 Dinner features praiseworthy traditional treats like shrimp cocktail and New York Strip Steak. Top it all off with a robust slice of homemade cheesecake. For a date night dinner in a romantic setting, Martini’s Organic serves a farm-to-table and sea-to-table menu. 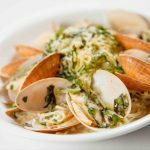 Top-quality Florida ingredients expertly prepared by the chef-owner are at the heart of every dish. Seafood lovers will enjoy the Bahamian Lobster sauté while diners partial to meat can’t go wrong with the Seminole Pride Grass Fed Steak. Photo-worthy design details include a pink-hued wall made entirely of Himalayan Sea Salt and a lush garden awash with tropical fronds and a cozy fire pit. Vegans, veggies and admirers of green-thumb cuisine shouldn’t miss a meal at the Dancing Avocado Kitchen. This relaxed spot serves healthy smoothies, a killer kale salad and tasty sandwiches. A giant collection of rubber ducks and other whimsical touches make the Dancing Avocado Kitchen a must if you’re traveling with children. 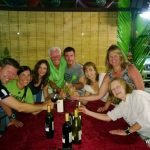 It is family owned and operated and packed with loyal locals. Bring home a bottle of their dynamite hot sauce made from Bob Marley’s recipe. 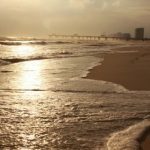 The Daytona Beach Ale Trail is growing at a breakneck pace, and beer geeks will be in heaven as they explore its bounty. At Daytona Beach Brewing Company, husband and wife duo Alan and Mer are producing excellent craft beer served in an inviting setting. The taproom has eleven taps presenting a variety of styles. 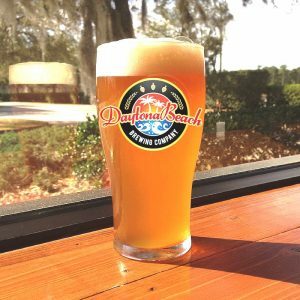 The popular Daytona Blond is the golden color that its name infers, with a nice balance of malt and hops that will quench your thirst after a day at the beach. I enjoyed the Ocean Breeze, a naturally cloudy Belgian-style wheat beer with just the right amount of malt flavor. Popular food trucks park outside nightly so consider a beer-centric dinner. If you crave fresh seafood served in a casual setting, you’ve met your match. 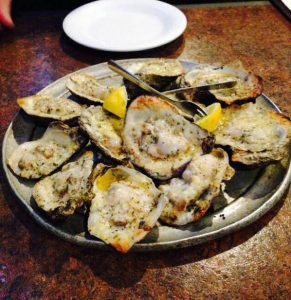 Just as the name suggests, oysters are served in a variety of ways at this sports bar with mucho local spirit. Try the gooey Oysters Fitzpatrick, local oysters topped with bacon and Monterey Jack cheese. Peel-and-eat shrimp are delicious in their simplicity. The full bar serves a wide variety of locally brewed beer that flawlessly accompany the menu of crustaceans. 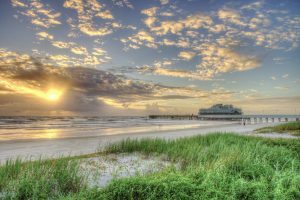 For additional trip planning information, visit www.Daytonabeach.com. 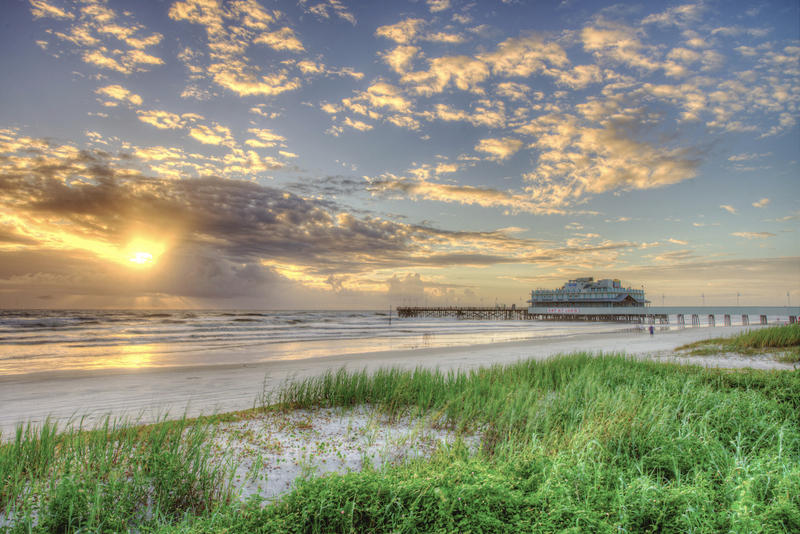 Photo credits: The author, Daytona Beach, the respective dining spots.